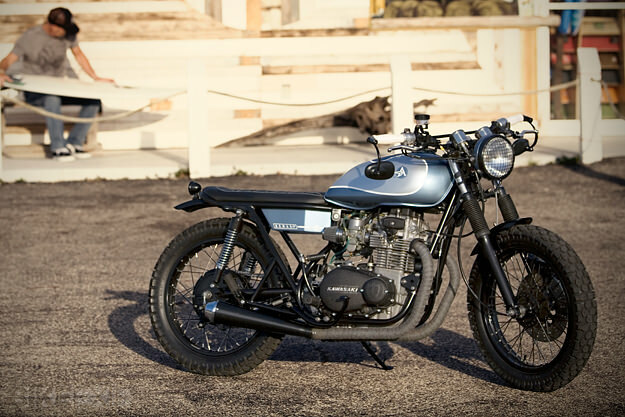 Tony Prust of Illinois-based Analog Motorcycles builds classy customs based on 1970s-vintage Japanese motorcycles: his Yamaha RD350 is one of the most popular machines we’ve featured this year. So here’s his latest build, commissioned by the owner of a design company based on Amelia Island, off the coast of Nassau County in Florida. 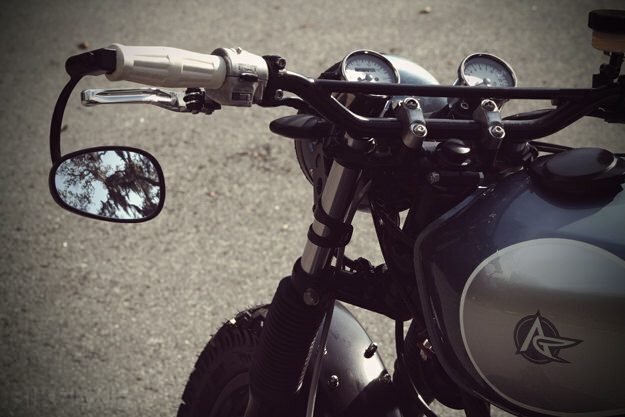 The bike is called ‘Nomad’, and the starting point was a 1974 Kawasaki KZ400—a simple four-stroke, air-cooled twin. 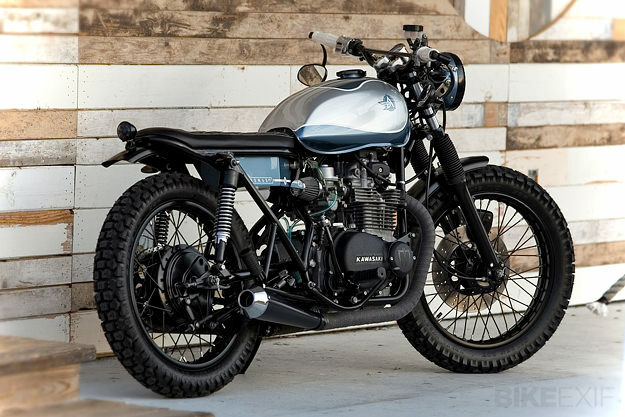 In stock form, the KZ400 is a somewhat staid and functional machine, but Prust has customized almost everything apart from the engine. 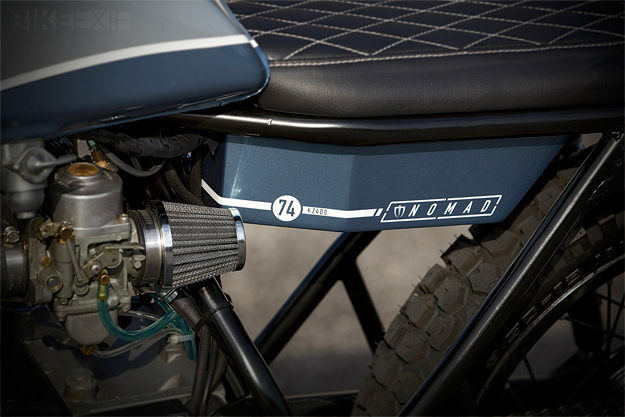 The powder-coated motor now breathes through pod filters, with exhaust gases running through Emgo megaphone mufflers. There’s a new battery box, overhauled electrics, and a custom billet dash bracket with aftermarket gauges. The front and rear fenders have been bobbed, and the new seat pan is topped with diamond stitch upholstery. 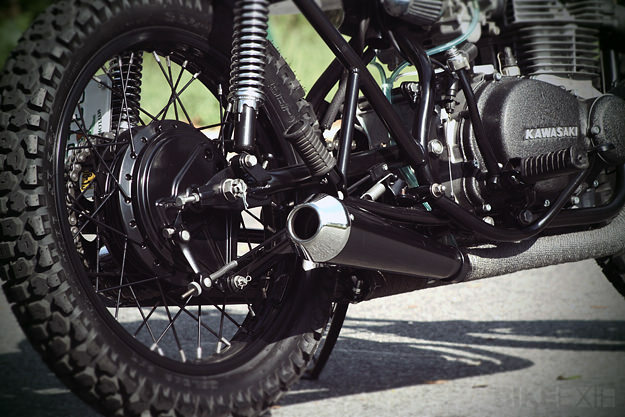 Prust has replaced the KZ400’s stock bars with low scrambler bars, which now sit behind an aftermarket headlight dressed with a stone guard grill. 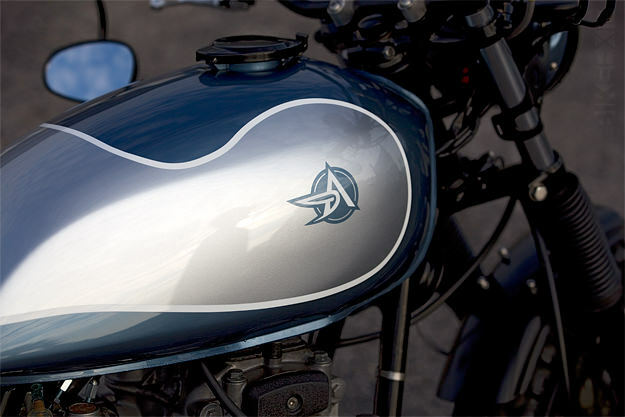 It’s a pretty bike, with a nautical theme to the paintwork, but practical too. The perfect everyday machine for blasting around the beaches and golf courses of a holiday island. Head over to the Analog Motorcycles website for more of Tony Prust’s customs, including Lil’ Patina—a lovely Honda CL175 scrambler that’s now for sale.